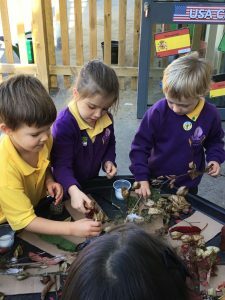 Mrs Ford teaches the Reception children in Pipistrelle Class. 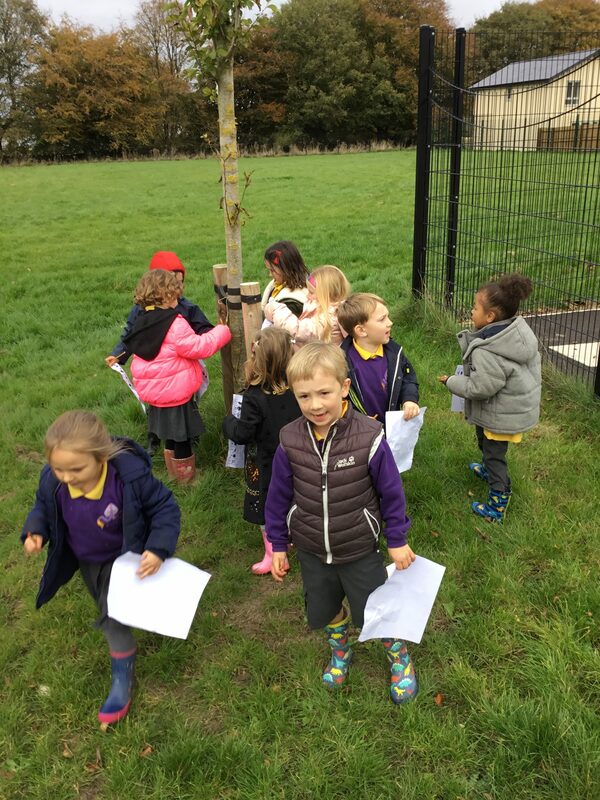 up the words and to which the group of words are referred. 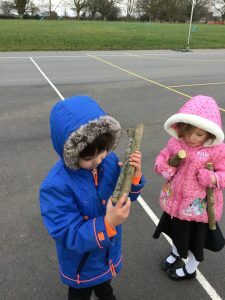 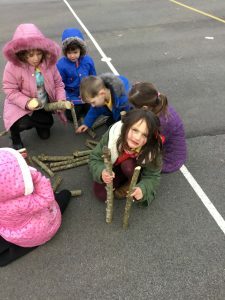 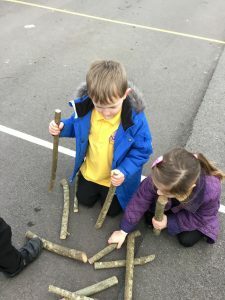 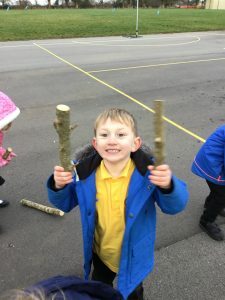 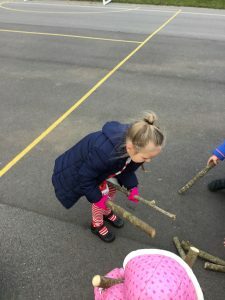 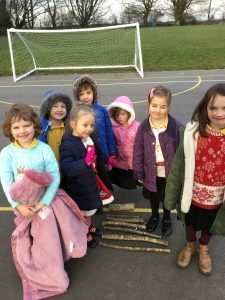 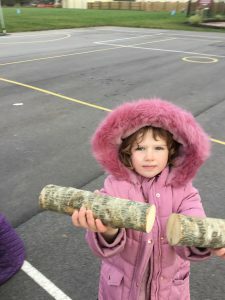 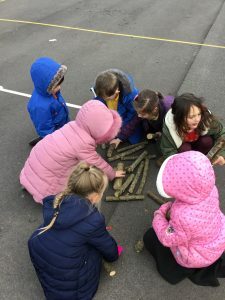 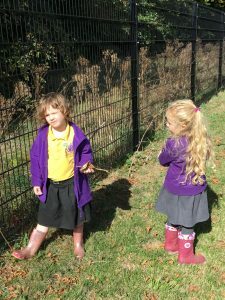 Foraging Friday, finding sticks, comparing and measuring them. 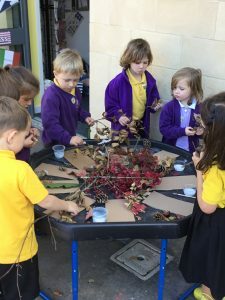 Pipistrelle experimenting with wet and dry materials. It was a messy business! 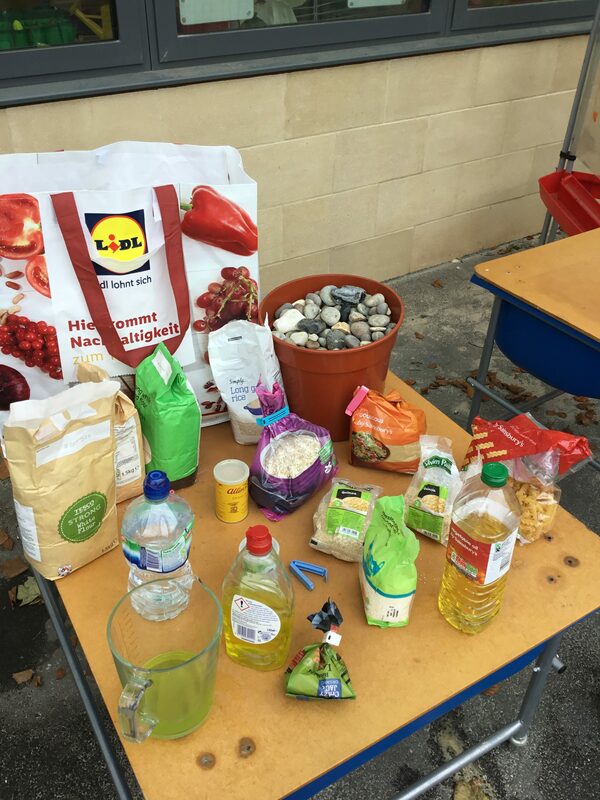 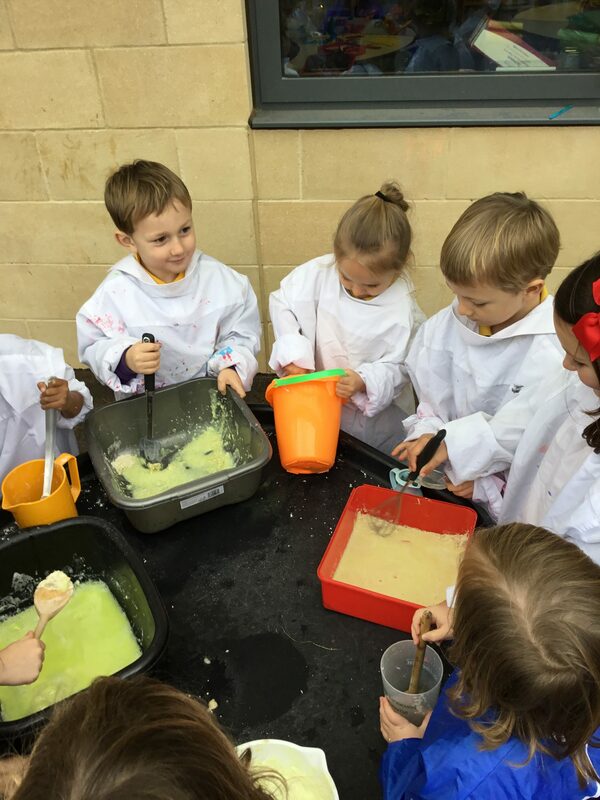 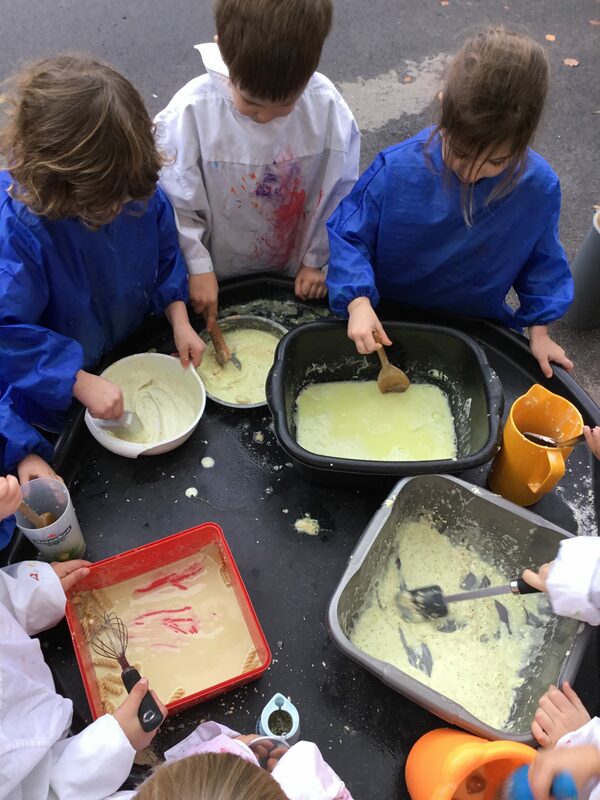 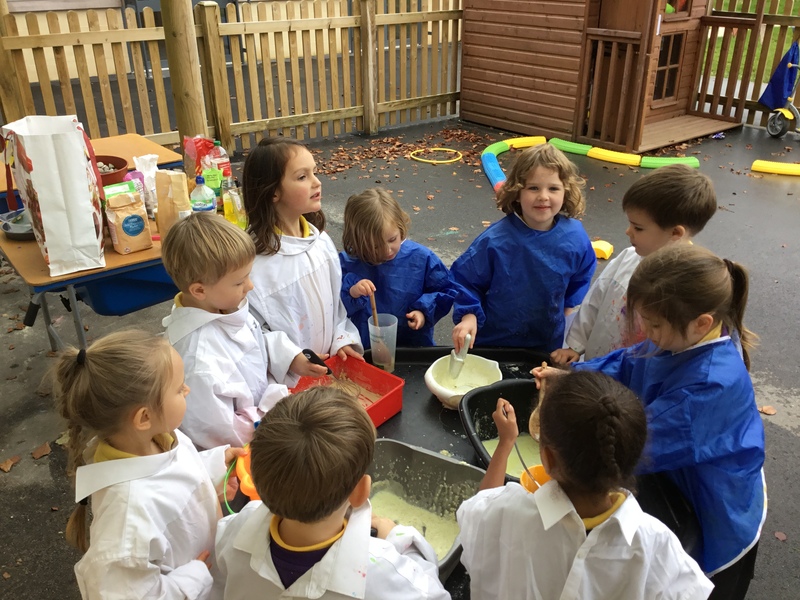 We were all very excited about our annual Book Week with many activities throughout the week. 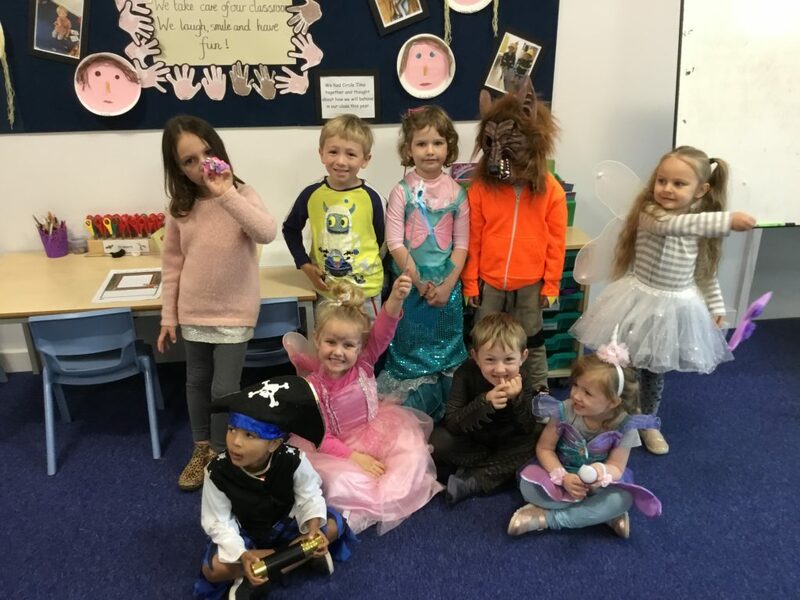 Here’s a photo of our Pipistrelle pupils dressing up as fantastical creatures. 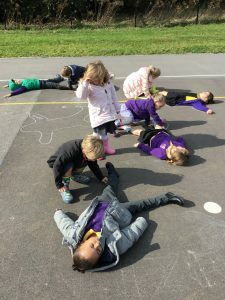 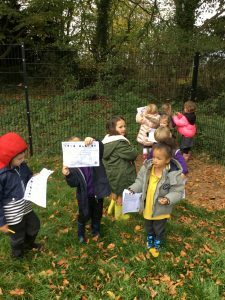 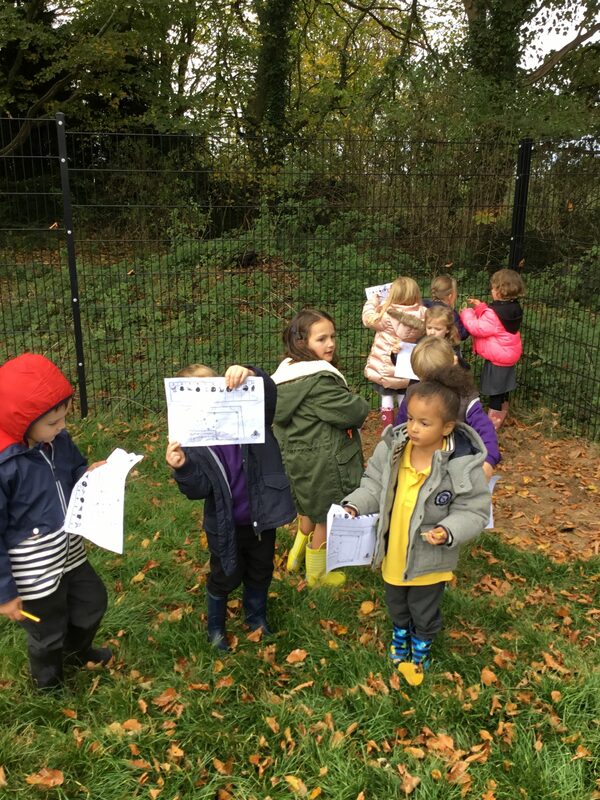 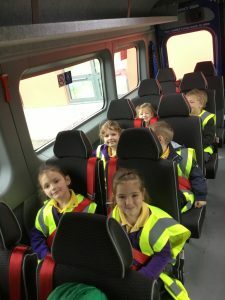 Pipistrelle on their Book Week Trail. 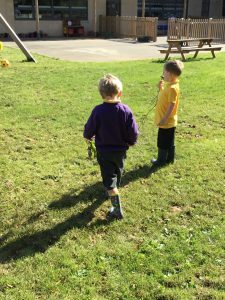 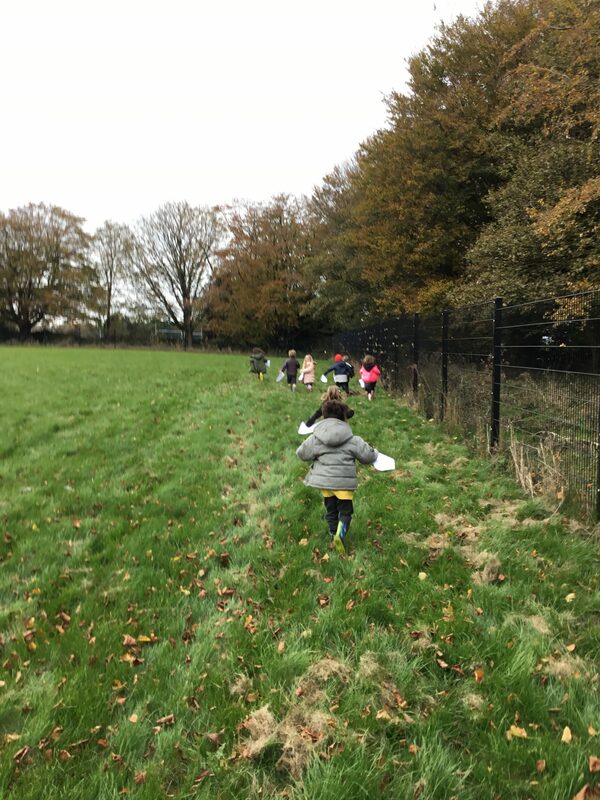 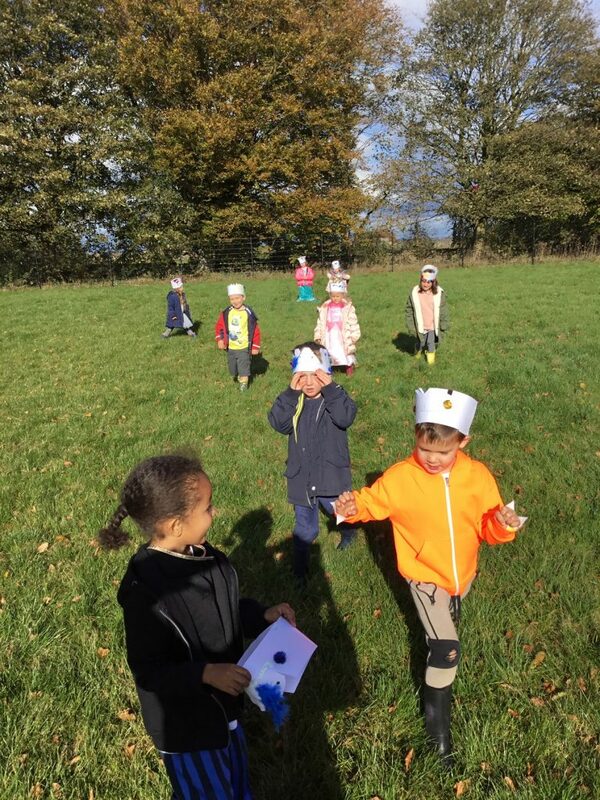 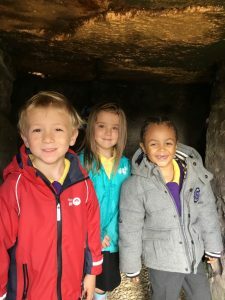 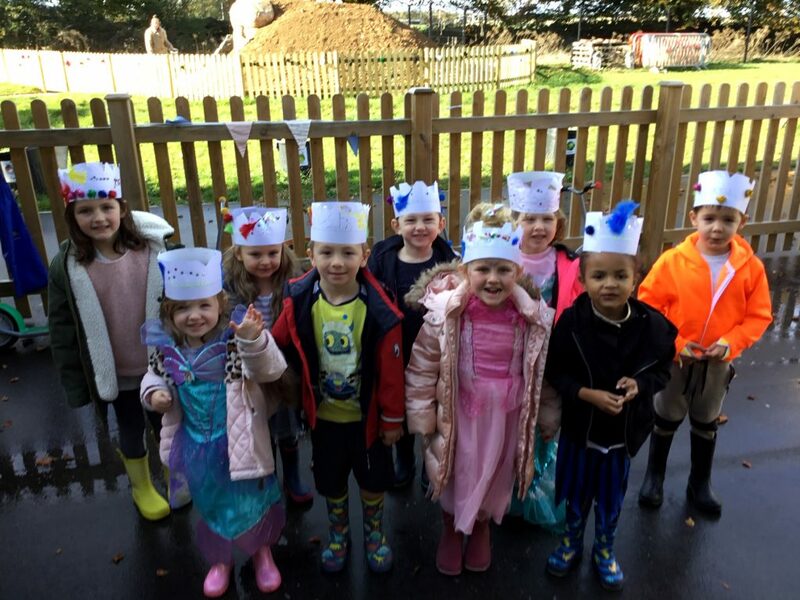 Pipistrelle children go on their Wild Thing Walk with their crowns. 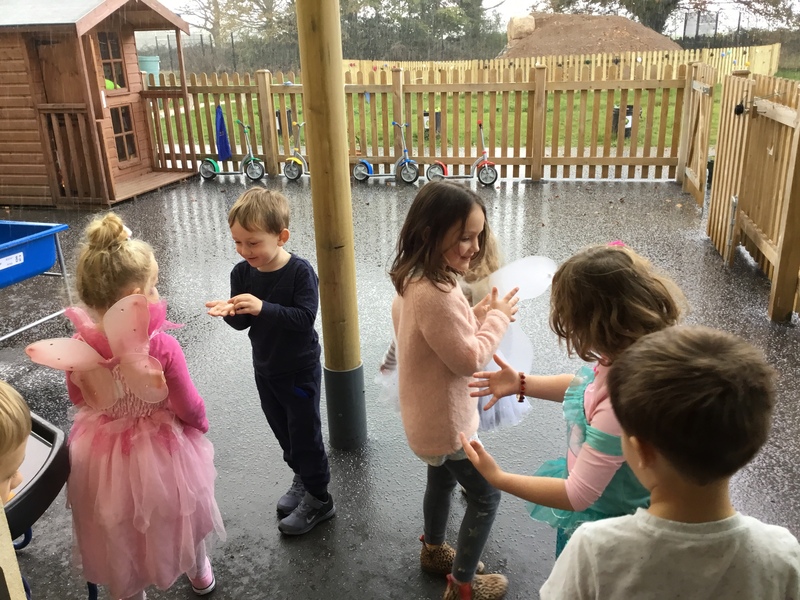 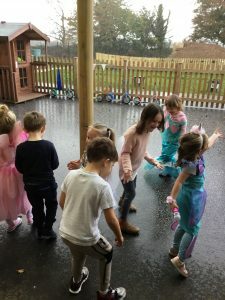 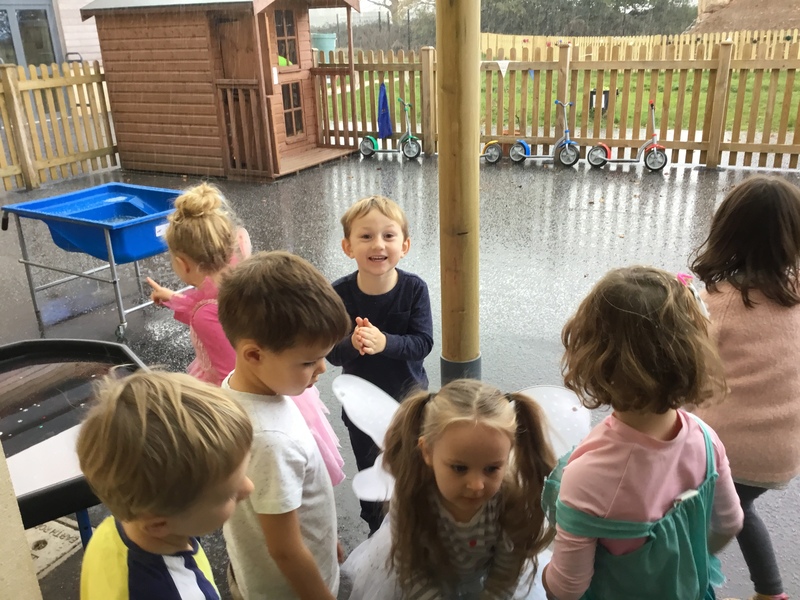 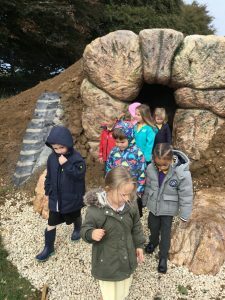 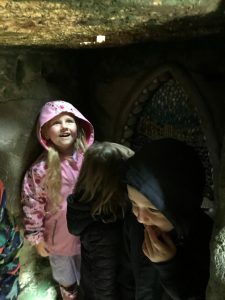 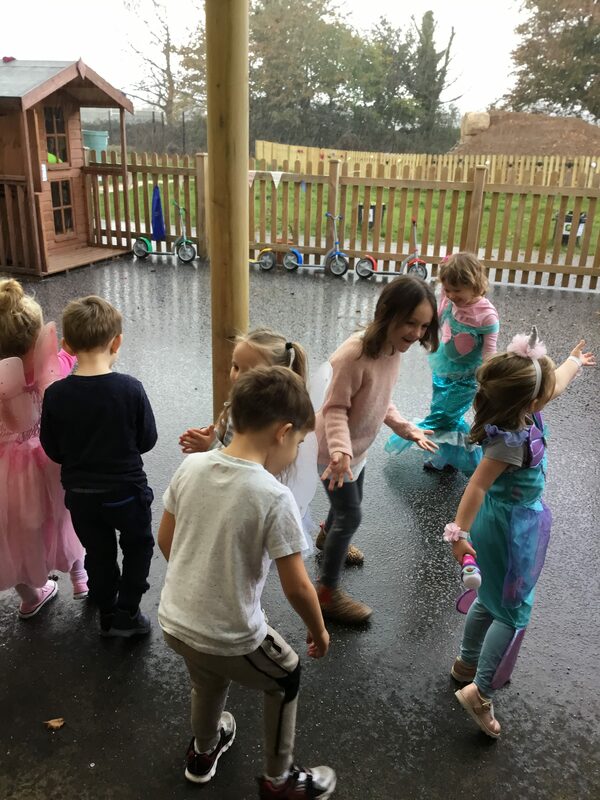 Pipistrelle children were very excited to see the hailstorms clashing down onto their playground. 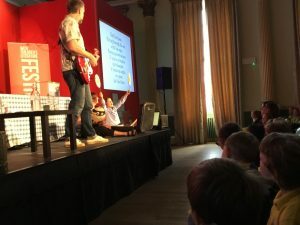 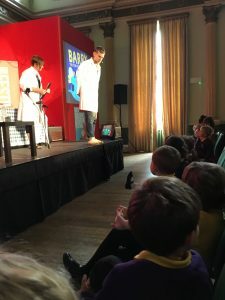 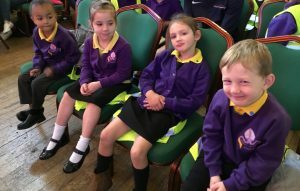 Pipistrelle’s First Trip to the Bath Children’s Literature Festival! 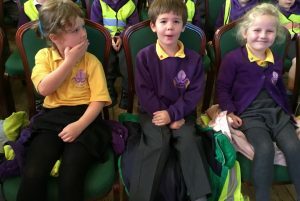 We visited Sue Hendra and Paul Linnet who presented their brand-new singing-and-prancing show. “Supertato” and his old gang are back and this time they are joined by a new friend, Cake! 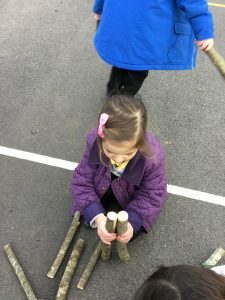 Pipistrelle really enjoyed this performance! 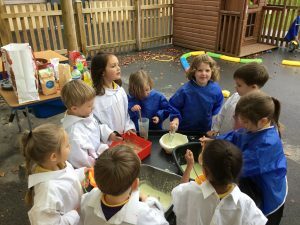 Pipistrelle had our first meal together this week. 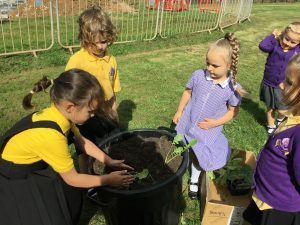 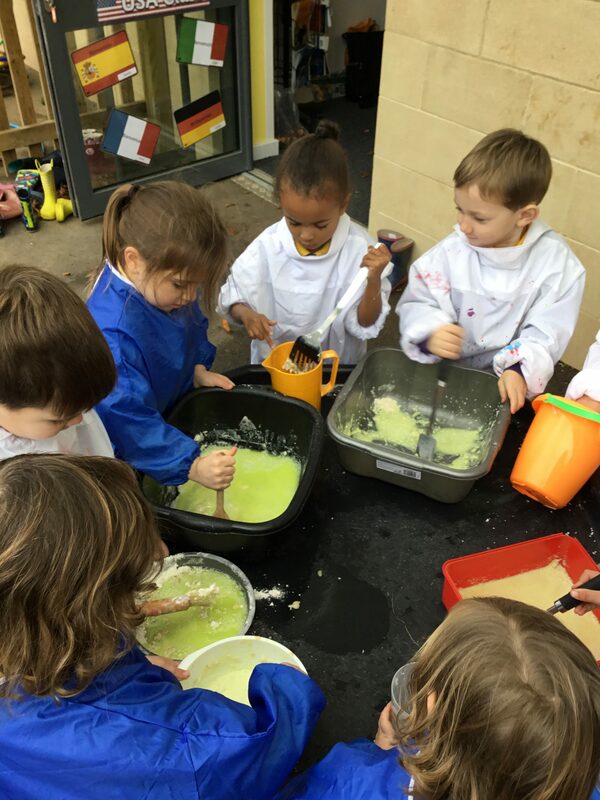 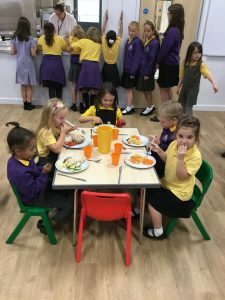 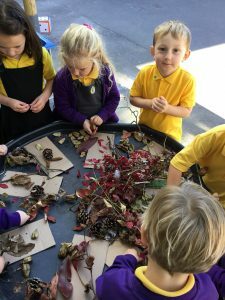 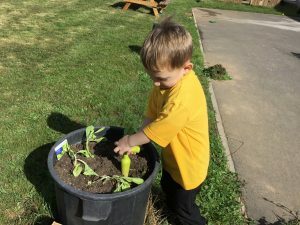 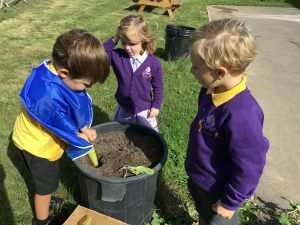 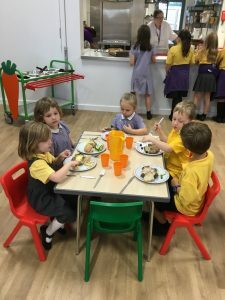 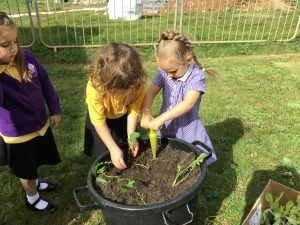 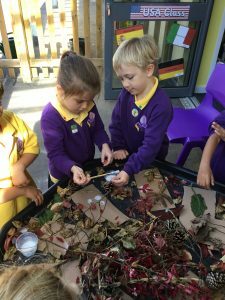 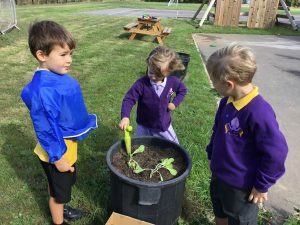 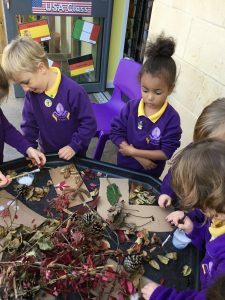 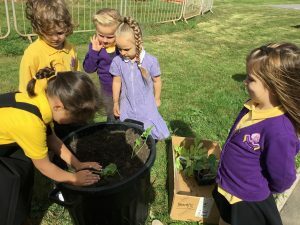 The Reception children recently have planted some healthy turnips, cabbages and lettuces.